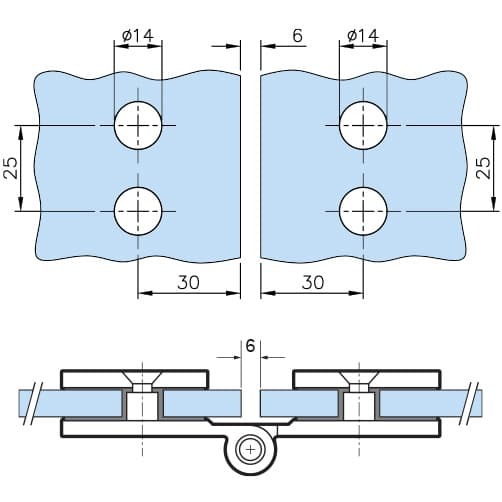 Stainless steel door hinge for a glass to glass fixing, designed to accommodate glass panels from 6mm to 10mm thickness. Manufactured from 304 grade stainless steel. 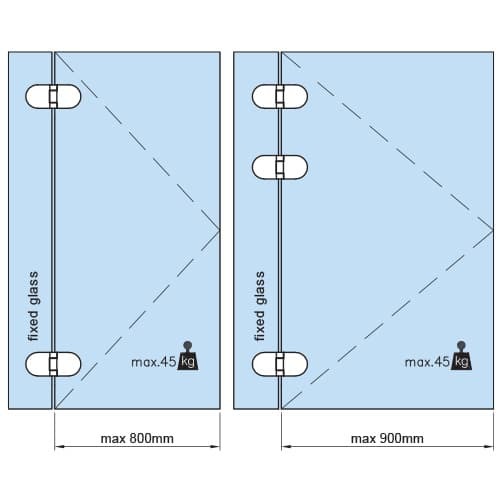 To fit glass door thickness of 6mm - 10mm. 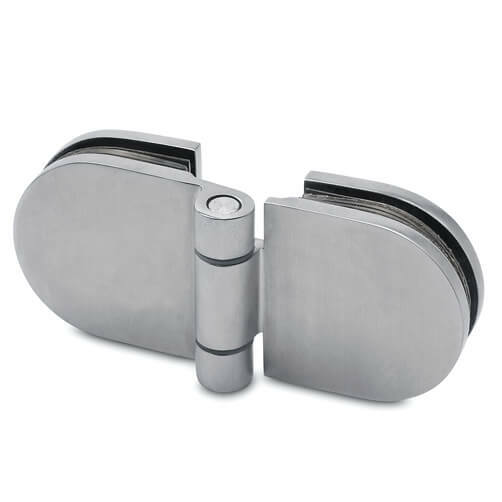 Produced from 304 grade stainless steel ideal for interior use. 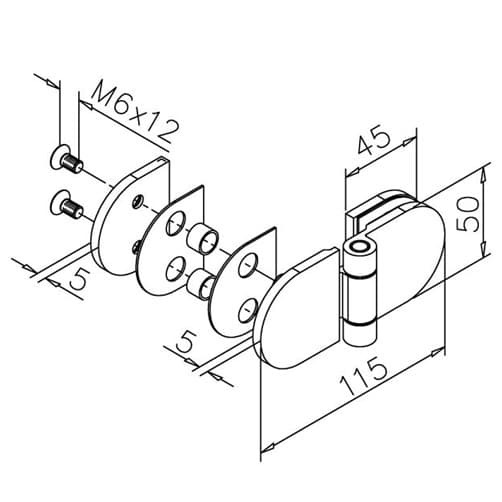 Maximum loading of 35kg for doors 800mm and 900mm wide.